The new year is often a time of reflection and, here at TLN, we’ve been thinking about some of our favourite parts of the year. A particular highlight of 2018 was spending a week at Lapage Primary School in Bradford capturing the wonderful story of how they’ve empowered every student across the age range to be active citizens in their school community and beyond. One of the most surprising and inspiring aspects of this project is its sheer scope and the number of people involved. The breadth of the Lapage active citizenship project became apparent when we started to plan the filming schedule…how on earth do we capture all of the exciting things that are happening…in a variety of settings including a retirement home and another school…all with GDPR consent considerations thrown into the mix? Thanks to the patience and flexibility of the staff team and the endeavours of Lapage superwoman Mariya filming started at 8am on a beautifully crisp November morning. This filming took place across 4 separate locations, generated tens of hours of footage and involved around 40 members of the Lapage community and beyond. It was an incredible thing to be a part of. The transformative power of a project like this for all involved is indisputable as is the dual benefit for Lapage students who are gaining real world, transferable skills such as team work, resilience, empathy and social capital whilst also having a tangible impact on the lives of people in their community. Unsurprisingly the Lapage story is inspiring other schools to develop their own, more strategic approach to social action/active citizenship and helping primary schools to engage with the community that they operate within. To conclude our reverie, the old adage of ‘never work with children or animals’ absolutely does not apply here – the Lapage students were the undisputed stars of the show, displaying absolute enthusiasm for each task they were set, speaking articulately to camera and demonstrating such pride in their school and community. I would challenge even the most jaded amongst us to spend a day with children who are so happy to be helping others and not leave feeling a little bit more hopeful for the future. 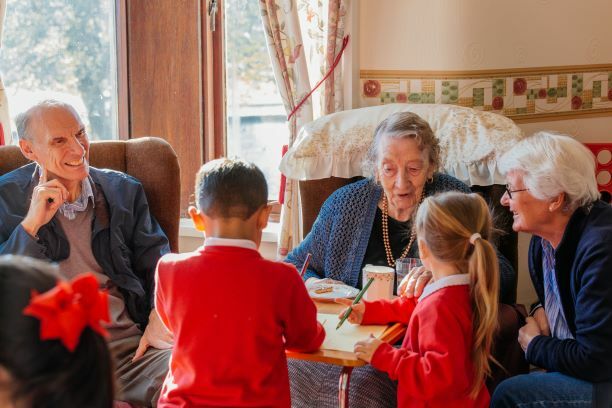 Click the link below for a short summary of this inspiring story and watch this space for our longer version aimed at empowering other schools to develop their own social action strategy.